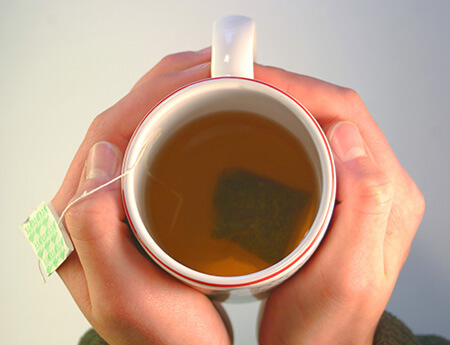 You are here: Home / Sir Jason Winters Blog / Is There a Difference Between Hot Tea and Iced Tea? Is There a Difference Between Hot Tea and Iced Tea? Most tea drinkers have a preference when it comes to brewing – either they like their tea hot, or they want it cold. People can debate for hours on which is better. Iced teas are great during the summer when the weather is hot, but hot teas are soothing when it starts to get chilly during the winter. There’s also the matter of having a drink at any given temperature. Some people prefer all their drinks to be colder while others like it warm. There are so many arguments you can make for either side. But aside from preferences and opinions, is there any real difference between hot tea and iced tea? The answer is yes – and the differences between the two are larger than you think. One of the biggest differences between hot and cold tea is flavor and aroma. Interestingly, though, this usually doesn’t have anything to do with the type of green tea you use – it has to do with the fact that the tea is hot or cold. Studies have shown that cold beverages and foods are less flavorful than warmer versions, and this pertains to everything including tea. The colder something is, the harder it is for taste buds to pick up on the subtleties of the flavor. Conversely, if something is warmer – but not too hot – then the flavor is at its peak. So, when it comes to flavors and aromas, science backs up that hot tea is going to be superior. So if you’re looking for maximum flavor, you’ll want it hot. Measuring the health benefits of green tea is difficult since it mostly depends on where you’re getting your green tea from. But it’s clear that there’s no significant difference between hot tea and cold tea when it comes to health. There are some studies that say that cold teas bind caffeine with antioxidants, rendering both less effective. However, it’s unclear how ineffective they might be rendered. Others claim that iced tea is healthier since you shake the tea before serving, releasing more chemicals into the water. This could be true, but it’s nearly impossible to measure. The key to both is that you steep the tea for the proper amount of time before serving. Most iced teas are brewed hot to begin with, so steeping a teabag for at least 2 minutes will yield the highest effects regardless of temperature. Loose leaf blends might require anywhere from 2 to 15 minutes to steep. If you choose to drink iced tea, you should make it at home. Pre-packaged teas in liquid form, as we explored in a previous post, are not as good for you as home-made versions. Since pre-packaged teas are served cold (to preserve the blend for longer), some people might think that it’s the same as any iced tea. But prebrewed liquid teas are made for mass consumption and companies that produce them cut corners. The process will take a lot of the healthy aspects out of the tea. While the flavor might be there, some of these teas can end up being unhealthy for you to drink and usually contain a lot of sugar or artificial sweetener as well. If you’re drinking for health, it doesn’t matter if you go hot or cold. Just make sure you pick up your favorite blend and make it yourself! https://sirjasonwinters.com/wp-content/uploads/2018/01/iced-tea.jpg 700 1500 Michael Austin https://sirjasonwinters.com/wp-content/uploads/2016/04/logo.png Michael Austin2018-01-05 09:01:032018-10-17 13:31:20Is There a Difference Between Hot Tea and Iced Tea? Sir Raymond’s Japan Tour 2017 When Should You Drink Green Tea?